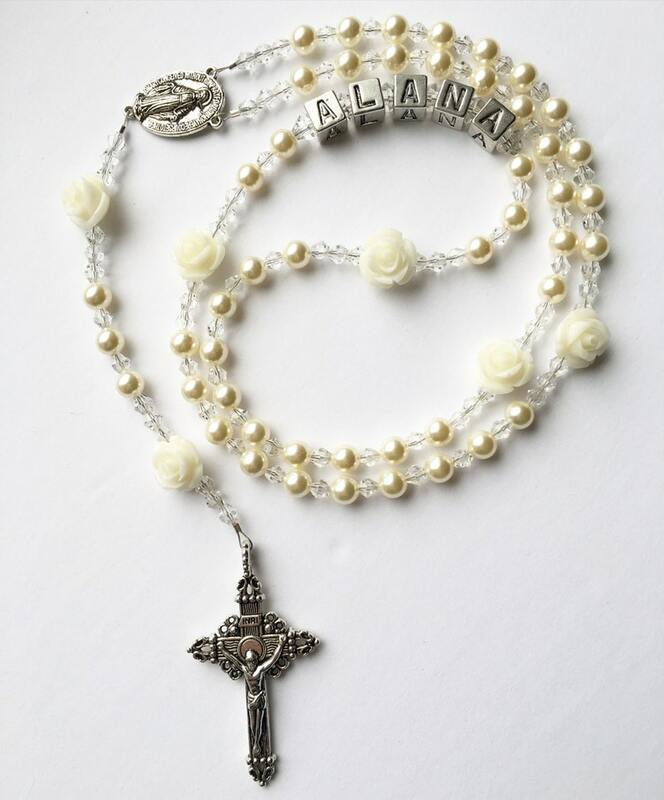 Gorgeous Handmade Rosary- Made with beautiful Cream Swarovski Pearls accented with smaller clear crystals and cream roses and a Silver pewter crucifix and Blessed Mother. Customized name added with Silver Pewter letters for that special added touch! Please leave name in the notes section once checking out.